This past week while little ones had visions of sugarplums dancing in their heads our John Michael Exquisite Weddings and Catering elves headed off on a Santa approved mission. Our team headed over to Florida Hospital and decked the halls with fun Christmas lawn décor, festive signage and a few well-dressed elves. Our John Michael Exquisite Weddings and Catering team provided some holiday cheer for over 1,600 guests. 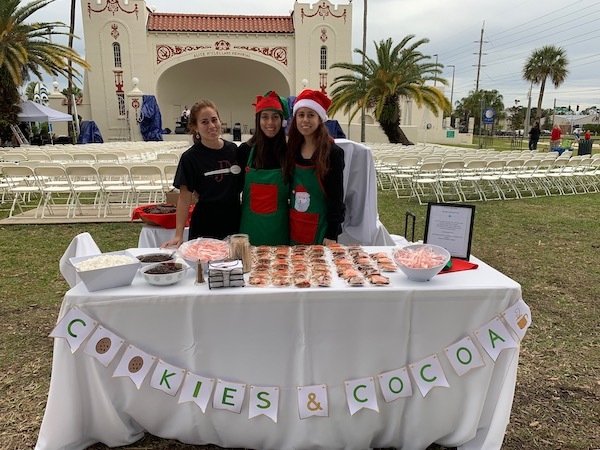 They enjoyed an assortment of festive holiday cut out cookies including a gluten free option, a hot cocoa bar complete with mini marshmallows, chocolate chips, cinnamon and candy canes. 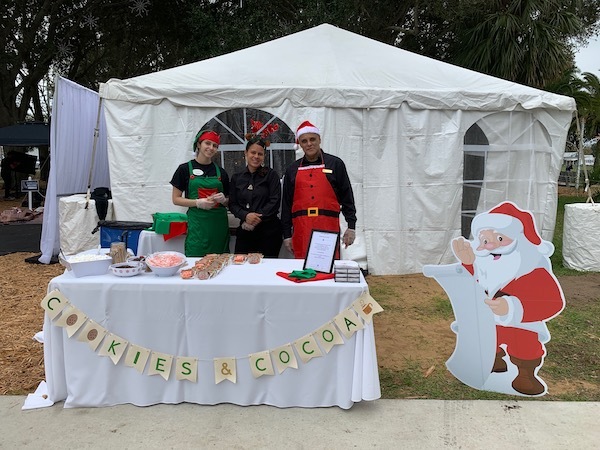 We know that our elves had so much fun serving guests at this awesome Florida Hospital event. Thank you to all of our team members, we are sure you made Santa’s Nice list!